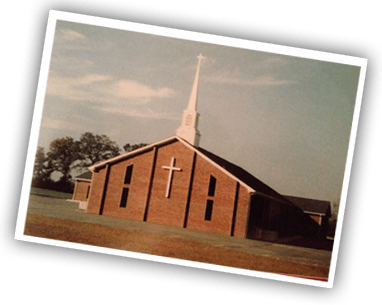 The Brotherhood of Beulah Baptist Church meets every first Wednesday after the first Sunday at 7:00 p.m. We are a group of men that are looking to serve Christ through serving others. We love to get involved with different projects through out the community when they arise. We would like to invite all men to come and be a part of our enthusiastic group of men here at Beulah Baptist Church. WMU is a group of women of all ages that meet on the first Wednesday after the first Sunday of the month. We come together for what we consider to be a time of fellowship and discuss outreach ideas as well as other business pertaining to the women of the church. We always have a wonderful devotion presented by one of our women of the church or an invited guest. Some of our outreach projects that we have done in the past include but are not limited to: a free back to school clothes give away, back pack buddies food distribution, carrying gift baskets to area nursing homes. We have just held a Womens Prayer Breakfast that we hope to continue as a annual event in the coming years. We would love for you to come and join us at any time that you could. The Abandoned Youth Group is a group of energetic teenagers that meet the second Sunday of each month for thier business meeting. We also meet every other Wednesday night in the fellowship hall to do an indepth bible study. We do many fun and exciting activities through out the year to keep our teens active and interested. Some of these activities are our annual Pony drop fundraiser in October, Annual trip to work at Operation Christmas Child with Samaritans Purse, going to Acquire The Fire Youth conference and BeachBlast Christian music festival in Myrtle Beach, S.C. Although it may seem we have alot of activities and we must admit, we do, we first and foremost believe that we cannot replace our mission to reach young adults for Christ with activities. Therefore we always include devotions, bible study and messages devoted to our devotion to Jesus Christ within all of our activities. All teens 13 and up are invited to become a member of the Abandoned Youth Group of Beulah Baptist Church. Our Wisdom Warriors of Beulah Baptist Church is a great group that comes together for fellowship, to share what God is doing in their lives, to be on mission to help others, and of course we always are on the go doing or going somewhere and we always eat. We would love for you to come and join us on the second Tuesday of each month and see what the Lord will do with this ministry! Any and all visitors are welcome. You do not have to be a member of our church to attend.